KMS Bearings produces 2 Bolt Flange Blocks from PBT, a glass filled reinforced engineering polymer, that will never corrode or rust. 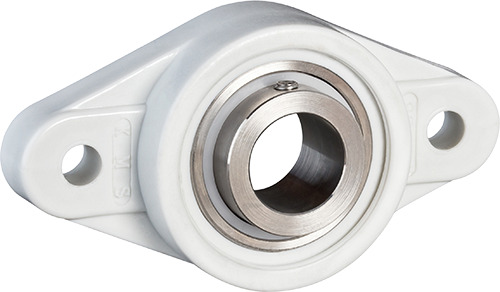 When inserted with a KMS 316 Stainless Insert ball bearing, they provide superior corrosion resistance compared to any mounted unit offered today. Blocks are molded from a high grade glass-filled PBT polymer. 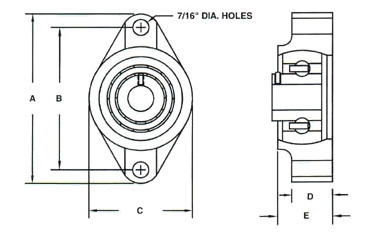 The block’s spherical bore is machined for concentricity and proper fit of the insert bearing. The last step in manufacturing is machining the solid base for flatness.